We’d love your help. Let us know what’s wrong with this preview of Transpersonal Psychology in Psychoanalytic Perspective by Michael Washburn. 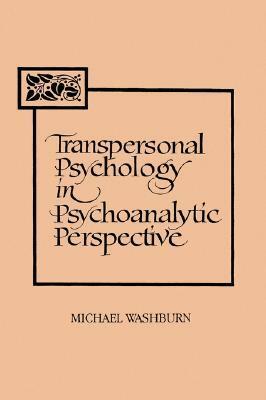 In this book, Michael Washburn provides a psychoanalytic foundation for transpersonal psychology. Using psychoanalytic theory, Washburn explains how ego development both prepares for and creates obstacles to ego transcendence. Spiritual development, he proposes, can be properly understood only in terms of the ego development that precedes it. For example, many difficulties In this book, Michael Washburn provides a psychoanalytic foundation for transpersonal psychology. Using psychoanalytic theory, Washburn explains how ego development both prepares for and creates obstacles to ego transcendence. Spiritual development, he proposes, can be properly understood only in terms of the ego development that precedes it. For example, many difficulties encountered in spiritual development can be traced to repressive underpinnings of ego development, and significant gender differences in spiritual development can be traced to corresponding gender differences that emerge during ego development. To ask other readers questions about Transpersonal Psychology in Psychoanalytic Perspective, please sign up.